46 films. A massive month, with about 30 films watched over the 12 days of the Sydney Film Festival. Even with the desire to take a little break post festival, the heavy release schedule kept throwing films my way. Re-watches of Silver Linings Playbook and Your Sister's Sister and a first look at Dazed and Confused the top home viewing. Sam and I also consumed Season 5 of Mad Men, which was as strong as ever. 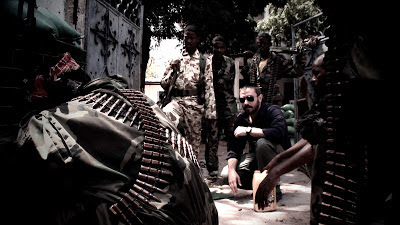 Dirty Wars (Rick Rowley, 2013) - One man's dangerous solo investigation into US military covert ops is an incredible work of journalism, and in extension, captured powerfully in this astounding documentary. Before Midnight (Richard Linklater, 2013) - Perhaps the 'least enjoyable' of the trilogy - but there are many delights and laughs don't get me wrong - but I'd say it is the most impressive in it's raw and heart-wrenching realism. A phenomenally scripted emotional rollercoaster and Delpy and Hawke are sensational. As far as trilogies go the 'Before' films rank amongst the greatest. 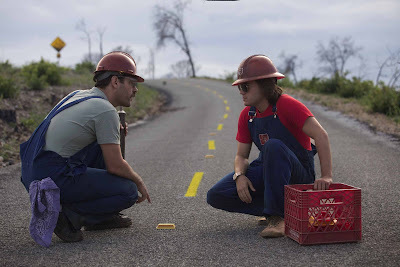 Prince Avalanche (David Gordon Green, 2013) - Just awesome. What a surprise. I can't wait to watch it again. 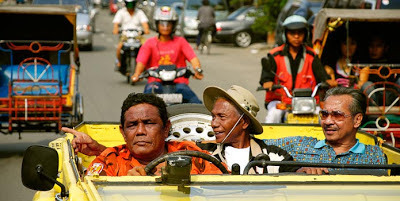 The Act of Killing (Joshua Oppenheimer, 2013) - I was speechless leaving this film. Incredible to see cinema's influence on the horrific acts, and serve as a medium to recreate, understand and finally accept. So powerful. Josh Oppenheimer created one of SFF's most unforgettable experiences. 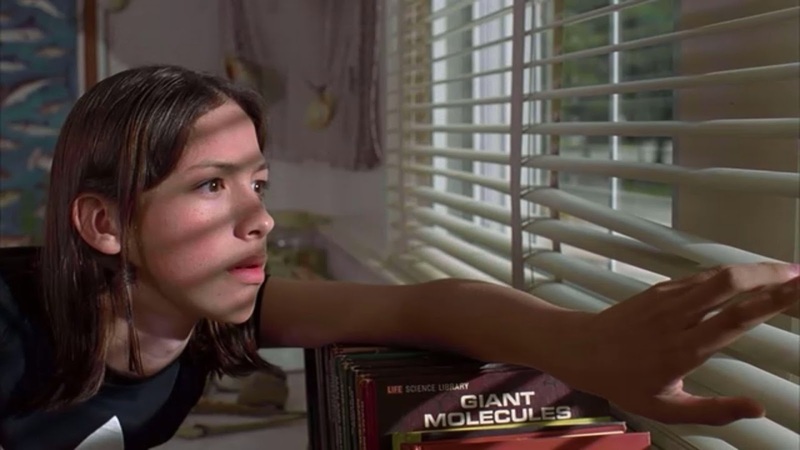 Dazed and Confused (Richard Linklater, 1993) - A lot of fun. A wicked soundtrack and a top cast (of unlikely faces). Aged very well. 20 Feet From Stardom (Morgan Neville, 2013) - Energetic doco full of incredible voices and inspiring stories. Impossible not to fall for. The Past (Asghar Farhadi, 2013) - With extraordinary and compelling complexity dissects the whirlwind of emotional baggage brought to a divorce/re-marriage. How Farhadi subtly reveals these character's secrets and how they snowball is a feat comparable to A SEPARATION. One of the best of the Fest. Stoker (Park Chan-Wook, 2013) - It is clear from beginning to end that a master is behind the camera of STOKER. Chan-wook directs the hell out of this. The performances are terrific, the macabre angsty coming-of-age chilling, but it is Park's form and style that elevates this. And the music. 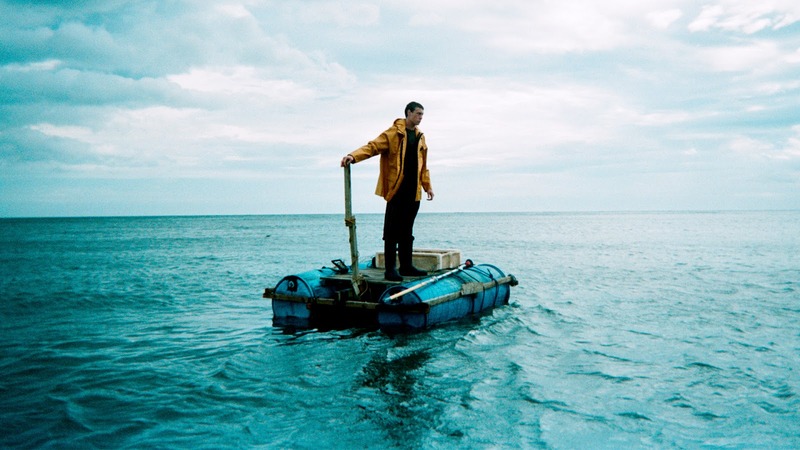 For Those in Peril (Paul Wright, 2013) - Deals with grief, guilt and facing malevolence for being alive. Visceral and emotional psychological drama. A fresh vision. Mood Indigo (Michel Gondry, 2013) - An endlessly wacky passion project from the wildest of imaginations. So inventive. 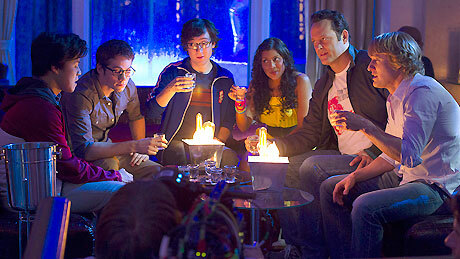 Great cast. Lengthy run-time only real gripe. Gondry has gone all-in, offering a bombardment of surreal inventions. You know immediately if its your type. If it is, look on in awe. Mud (Jeff Nichols, 2013) - Freedom of childhood adventure collides with grimmer realities of the adult world in moving and optimistic Southern river drama. Tye Sheridan, and McConaughey, deserve praise. Frances Ha (Noah Baumbach, 2013) - Charming hipster stumbles through life, always optimistic about her future, but endearingly klutzy and awkward. Love Gerwig. And that scene featuring Bowie! Wadjda (Haifaa Al-Mansour, 2013) - Very interesting look at Saudi day-to-day life; the first feature shot entirely on location. Sweet, uplifting look at individualism. Beautiful relationships and a striking performance from the young lead. 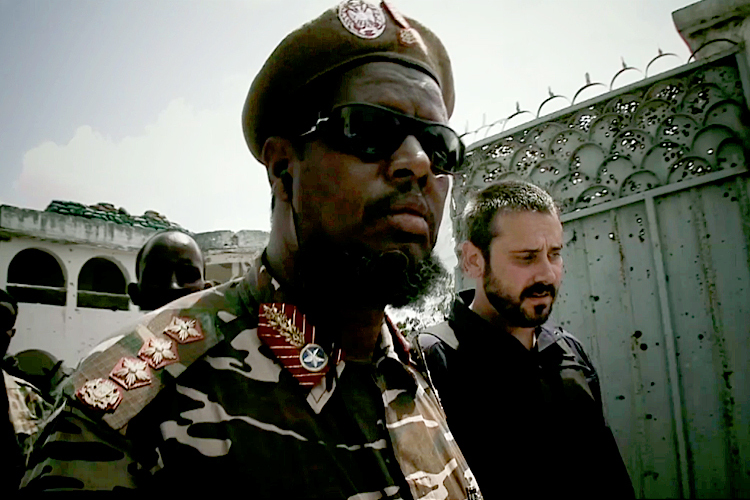 By addressing the issues it does, it is a very important film. 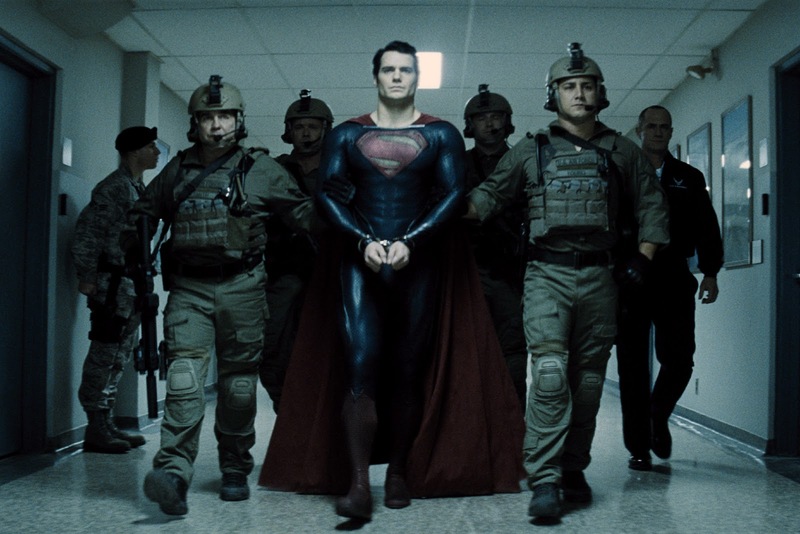 Despite the top casting and some dazzling action sure to please fans, with a bloated story, an exposition-heavy and context-via-flashback reliant screenplay, an unsatisfying and drawn-out final confrontation and wearying slews of destruction, to name a few, Man of Steel is fraught with issues. Zack Snyder (300, Watchmen) is at the helm of Man of Steel deemed a dubious decision during the production and confirmed post-viewing, with Chris Nolan (Inception, Memento) serving as producer and story co-creator (along with screenwriter David S. Goyer). Nolan has undeniable influence over the project, and I’d say a big contributor to the film’s darker tone, and as a result the non-existent fun value. Man of Steel opens on the planet Krypton, which is facing imminent destruction. A scientist, Jor-El (Russell Crowe), and a renegade military commander leading a coup, General Zod (Michael Shannon), face off to try and preserve the Kryptonian race. In a desperate attempt to save his people, Jor-El sends his son Kal-el, the first natural birth in a very long time, and Krypton’s genetic codex, to Earth and banishes General Zod and his followers to the ‘Phantom Zone’. But, upon Krypton’s obliteration Zod is released and sets his sights on finding Kal-El. Raised the adopted son of Jonathan (Kevin Costner) and Martha Kent (Dianne Lane), Kal-El (Henry Cavill) is named Clark. His physiology has left him with superhuman abilities, powers he intuitively uses to help others but has to learn to harness. His father, to devlop Clark’s moral compass, advises him not use them publicly until he believes humanity is ready to accept him. He drifts mysteriously between jobs, saving stranded oil riggers and wandering through the Arctic. When Zod touches down on Earth searching for the alien hidden in the midst, Clark dons the suit, finding an unlikely ally in a ‘Pulitzer Prize Winning’ Daily Planet reporter, Lois Lane (Amy Adams), and sets about fulfilling his destiny. 20 Feet From Stardom is a delightful, intelligently constructed commemoration to some of the heroes of music, the supremely talented ladies – mostly of whom are African American – who made a career twenty feet removed from the spotlight by embracing their vital roles as backup vocalists. But, the question is, why aren’t they stars in their own right? 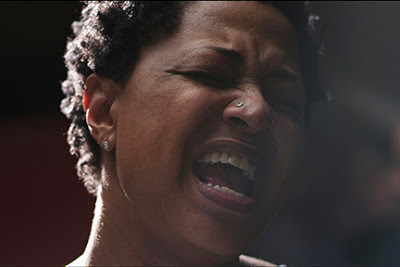 In Morgan Neville’s immensely satisfying documentary we are privileged to the intimate tales of Darlene Love, Merry Clayton, Lisa Fischer, Táta Vega, Claudia Lennear, Judith Hill, the Waters siblings and others as they reveal their unique experiences as backup vocalists. Neville takes relevant tangents, bouncing between the accounts to not only paint a convincing depiction of their individual value, but comment on the industry as a whole. 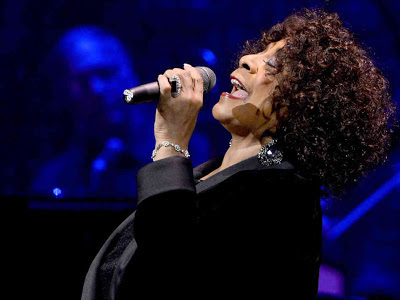 While many of us have heard these voices, their contributions undoubtedly vital pieces of every song, how many of us knew where that voice was coming from? This is an insightful study of the enormous spirit of these women and their often under-appreciated role. There is an unwavering enthusiasm to the film, both fascinating and joyously uplifting. The live concert footage is incredible and I knew this was a winner almost immediately when we are shown several clips of ‘Slippery People’ from Talking Heads’ amazing concert film ‘Stop Making Sense’. What Richard Did is directed by Lenny Abrahamson and written by Malcolm Campbell, based loosely on Kevin Power’s Bad Day in Blackrock. This compelling and powerfully acted drama won best Irish Film of the Year at the 10th Irish Film and Television Awards. 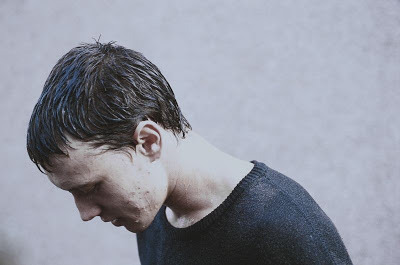 18-year-old Richard Karlsen (Jack Reynor, in an astounding performance) is a talented and admired athlete and the alpha-male leader of his upper middle-class Dublin sect of friends. During the summer between the end of school and the beginning of university, Richard and his friends take a trip away. It is there that he meets Lara (Roisin Murphy), at that time dating one of Richard’s teammates, Conor (Sam Keeley). Attracted to Richard, Lara eventually leaves Conor, though the two boys remain uneasy friends. 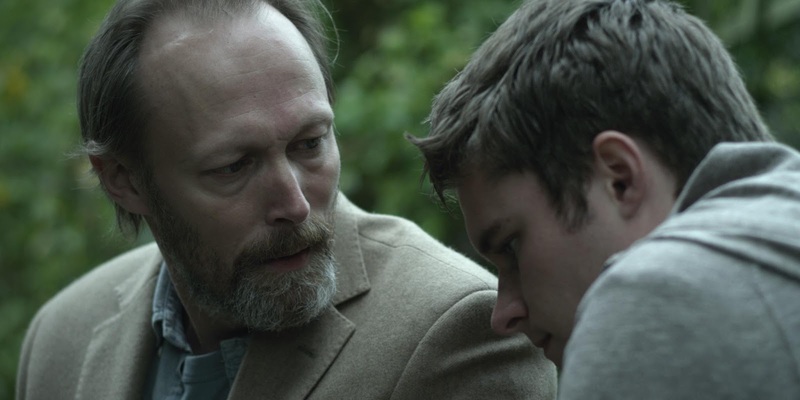 But one night intoxication, jealousy and challenged masculinity lead to a violent incident that shatters Richard’s perfect life and leaves him grappling with guilt and moral obligation. Iranian auteur Asghar Farhadi follows up his Academy Award-winning masterpiece, A Separation, with another highly proficient family drama, The Past, which competed at the Cannes Film Festival for the Palme d’Or. Being set in France, not Iran, this means that there aren’t as many cultural factors to further muddy the morals of the characters, but it deals with similar themes and is just as assured. These flawed relationships create a deeply resonating experience, featuring seemingly minor revelations that have maximum impact. 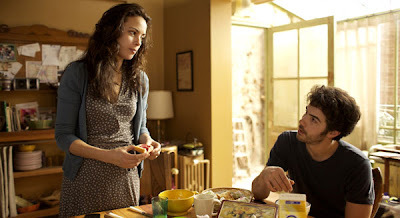 This is a simple story, the collision of two families through the meeting of Marie (Berenice Bejo, The Artist) and Samir (Tahar Rahim, A Prophet). The former is unhappy with her estranged marriage to Ahmad (Ali Mosaffa), who is visiting from Tehran to sign the divorce papers and ensure it ends on good terms. The latter runs a dry cleaning business of which Marie was a regular customer. Samir and his son Faoud (Elyes Aguis) are already living with Marie and her two daughters, Lucie (Pauline Burlet) and Lea (Jeanne Jestin). When Ahmad arrives Marie suggests he stay at the house and he reluctantly obliges. Stuck in a hotbed of stifling awkwardness Ahmad finds himself unwillingly immersed in their tumultuous lives; a passive observer and a rational listener whose guidance and advice is more welcomed than expected. Complex relationships fuel this deeply affecting drama which tackles mental illness, infidelity and youthful naivety wrapped up in a web of misinterpretation and painful truths. 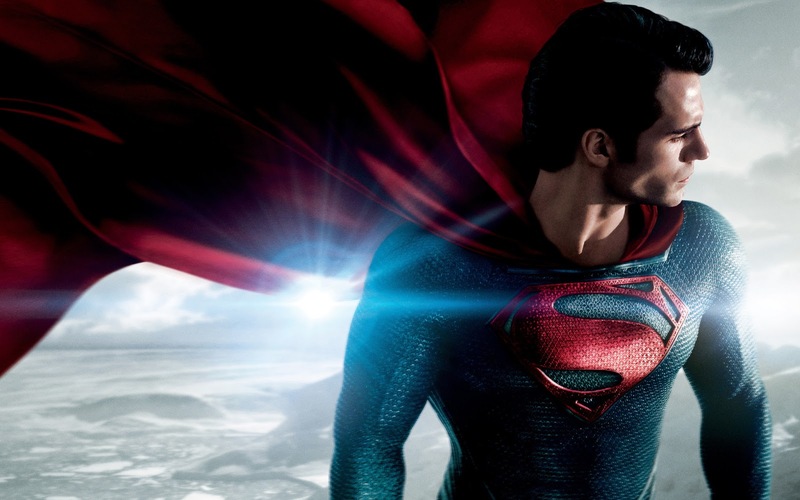 Out this week: Man of Steel, Epic, In the House, The Look of Love and Everybody Has A Plan. Man of Steel - A young boy learns that he has extraordinary powers and is not of this Earth. As a young man, he journeys to discover where he came from and what he was sent here to do. But the hero in him must emerge if he is to save the world from annihilation and become the symbol of hope for all mankind. Epic - From the creators of ICE AGE and RIO, EPIC tells the story of an ongoing battle between the forces of good, who keep the natural world alive, and the forces of evil, who wish to destroy it. When a teenage girl finds herself magically transported into this secret universe, she teams up with an elite band of warriors and a crew of comical, larger-than-life figures, to save their world. 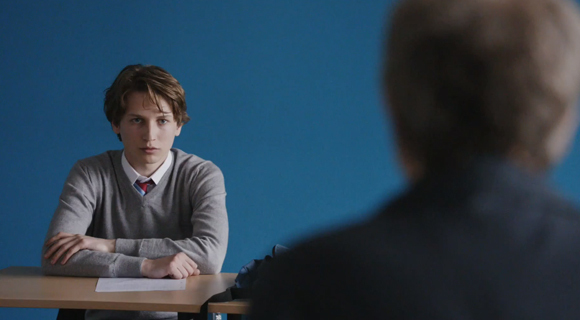 In the House - A sixteen-year-old boy insinuates himself into the house of a fellow student from his literature class and writes about it in essays for his French teacher. Faced with this gifted and unusual pupil, the teacher rediscovers his enthusiasm for his work, but the boy's intrusion will unleash a series of uncontrollable events. The Look of Love - The true tale of British adult magazine publisher and entrepreneur Paul Raymond (Steve Coogan of "24 Hour Party People", "The Trip"). A modern-day King Midas, Raymond became one of the richest men in Britain - at the cost of losing those closest to him. Everybody has a Plan - Tells the story of Agustín (Mortensen), a man desperate to abandon what for him has become, after years of living in Buenos Aires, a very frustrating existence. After the death of his twin brother, Pedro, Agustín decides to start a new life, adopting the identity of his brother and returning to the mysterious region of the Delta, in the Tigre, where they lived when they were boys. However, shortly after his return, Agustín will find himself unwillingly involved in the dangerous criminal world that was a part of his brother's life. Weekly Recommendation: Having seen all with the exception of 'The Look of Love', which I have heard plenty of negative reports about, my top pick would be 'In the House', an unsettling drama that deals with voyeurism, professional misconduct, the blurring of reality and fiction, and the conscious manipulation of the family dynamic. 'Epic' is a stunning visual experience with some thrilling battle sequences, if covering familiar territory with it's forest set tale of good vs evil. Both are worth a look, but not essential. With many a desaturated flashback and exposition-heavy lecture, Zack Snyder's CGI trainwreck, 'Man of Steel', starts out blindingly incoherent and then unevenly balances catastrophic (and tiring) levels of destruction with Kent's search for his identity. Many many issues. Not a good film at all. The same can be said for Mortensen's new film in which he speaks Spanish. One of the dullest alternate-identity dramas I can remember seeing. Last week I was lucky enough to be involved with four other journalists in a roundtable junket interview with the director of World War Z, Marc Forster. We fired off a couple of questions each and this is what Marc had to say about the film. With many Zombie films previously made and with TV shows like The Walking Dead, how do you put out a Zombie film that is different from anything we have seen before? MF: For me I didn’t see it only as a Zombie movie I wanted to make an apocalyptic thriller, to extend the genre in that sense. I felt like I wanted to create my own Zombies – the way that they move, the make-up – and ultimately have this intimate family story at the heart of the movie and surround it with a large-scale worldwide epidemic. When you look back to some of your earliest films as a director this is such a long way away from them. Did you ever expect to be going down the action blockbuster route, and in that respect is this something you want to continue? MF: I love all kinds of genre and mixing it up. Every genre has its own challenge and that’s where my passion lies. I don’t see myself solely as an action director so I will definitely make smaller films again as well, but I was passionate about the subject matter and about the possibilities of creating this blockbuster. On the other hand there was a second tier of social-political backdrop and the opportunity to work with Brad. That combination, I thought, could lead to something interesting. I’m not sure whether I will do more of these movies, as I don’t really plan. My decisions are intuitive. After Quantum of Solace they offered me Skyfall but I didn’t want to do Skyfall. Finally, I had time to develop a script for years, because we only had three months to develop the script for Quantum, and I just wanted to do something else. Disney Pixar in recent years have been more interested in sequels and prequels than developing original ideas. Finding Dory, a sequel to Finding Nemo, has just been announced for 2014 and in 2011 they returned us to the Cars universe, resulting in their weakest film to date. Last year Brave was a pleasant exception to this trend. However, the announcement of a prequel to Monsters Inc. was welcomed because Inc. has always been one of my favourite from the studio. Mike Wazowski (voiced by Billy Crystal) and James P. Sullivan (John Goodman) are two of their most inventive creations and in Monsters University we find out just how their inseparable friendship originated. Set amongst a frat house underdog formula reminiscent of Animal House this is perhaps not one of the studio’s strongest narratives, but it is a very funny film with commendable morals, striking animated details, and that moving camaraderie at the core. Ever since Mike was a youngster and visited Monsters Inc. on a school field trip he dreamed of studying at the prestigious Monsters University to become a scarer. His pessimistic cohorts, despite his unbridled enthusiasm and fierce dedication to study, ridicule his bulbous stature and un-scary appearance. He immediately befriends his roommate, Randall Boggs (Steve Buscemi), but crosses paths with the brawny and antagonistic Sully, a carefree slacker who believes that lineage and his natural scariness will be enough to pass him. When they find themselves mutual outcasts and forced into an unpopular fraternity house, Oozma Kappa, they are given an ultimatum by the Dean of the University – win the annual Scare Games and be accepted back into the scare program. Mike and Sully have to assimilate their skills if they have any chance of competing. During the Davison family reunion to mark the 35th wedding anniversary of parents Aubrey and Paul (Barbara Crampton and Rob Moran), men wearing animal masks and equipped with guns, crossbows and axes invade their mansion home and begin brutally preying on the hapless guests, including the couple’s four children and respective partners. Erin (Sharni Vinson), the girlfriend of son Crispian (AJ Bowen), fronts their retaliation, revealing she is the best equipped to protect the rest of the family against their sadistic, unrelenting foes. Amongst a vocal and entertained crowd, this reviewer did not get a kick out this home invasion slasher. What struck me throughout about You’re Next and severely influenced my enjoyment was the senselessness of the brutality. There was something excessively nasty about it. Some of the characters that meet their demise early are killed off in horrific fashion, and yet there is no evident justification. Rather than be entertained by this – I mean, on ‘most’ occasions watching people be killed on screen isn’t fun, but for some reason this expects an audience to find it so – I was actually sickened and felt uneasy. In cinemas this week we have World War Z, Monsters University, Despicable Me 2 and Satellite Boy. World War Z - Moving at a frenetic pace this is a relentlessly intense experience with huge scale production. Within mere minutes we are already witnessing the ferocious outbreak. Gerry Lane (Brad Pitt), a former United Nations employee, his wife Karen (Mireille Enos) and children find themselves embroiled in mob panic as a Zombie outbreak quickly spreads. They manage to escape in a camper van and make it to Newark where they are extracted by Lane’s former UN colleague and lay low in a rundown apartment block. From there Gerry is coerced into representing the UN and traverses the Globe – from South Korea, to Israel and finally to a World Health Organisation lab in Wales – in search of a means to save what is left of humanity, while his family are kept under Navy protection. 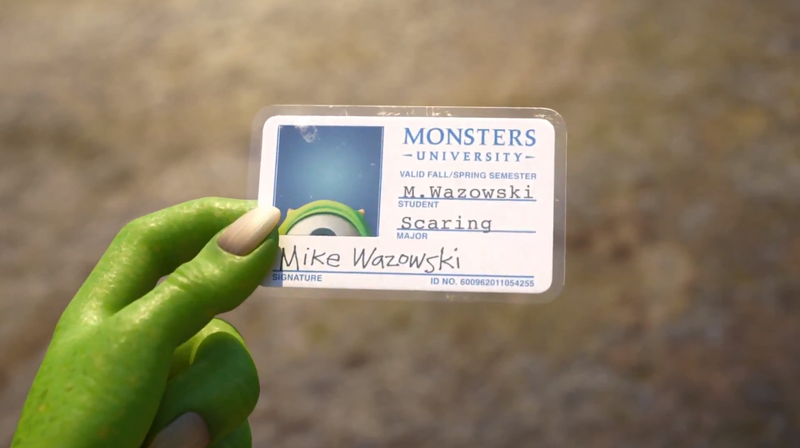 Monsters University - Mike Wazowski and James P. Sullivan are an inseparable pair, but that wasn't always the case. From the moment these two mismatched monsters met they couldn't stand each other. "Monsters University" unlocks the door to how Mike and Sulley overcame their differences and became the best of friends. Despicable Me 2 - Gru (voiced by Steve Carell) is no longer a villain after saving his three adopted daughters Margo, Edith, and Agnes from Vector in the first film. His calm and unexciting new life takes an unexpected turn when he is recruited by Lucy Wilde and Silas Ramsbottom and is taken to the headquarters of the Anti-Villain League, a society dedicated to fighting crime on a global scale. Satellite Boy - Catriona McKenzie's directorial feature debut is a heartfelt, moving and uplifting story about a young boy's journey to save his home and ultimately himself. 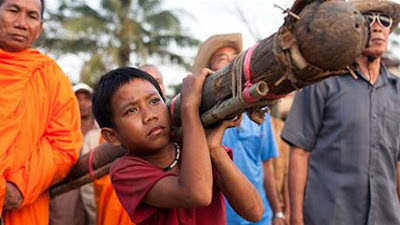 Satellite Boy follows Pete, a 12 year old Aboriginal boy who lives with his elderly grandfather, Jagamarra (Gulpilil). Home is the abandoned outdoor cinema in the outback town of Wyndham. When it is threatened with demolition, Pete sees his world in jeopardy and sets off for the city. He is joined by his friend Kalmain, who has his own reasons for leaving town. Together the boys travel through epic and stunning Kimberley country and when they get lost in the bush, Pete has to remember some of the old Aboriginal bush skills his grandfather taught him for them to survive. Fable-like in its storytelling, it shows a world torn between old and new, tradition and progress, nature and technology. Celebrating the importance of family, true friendship and cultural and spiritual identity, Satellite Boy is affecting. HERE IS A LINK TO MY INTERVIEW WITH WRITER/DIRECTOR CATRIONA MCKENZIE. Weekly Recommendation: An interesting week, considering the pair of animated sequels/prequels. 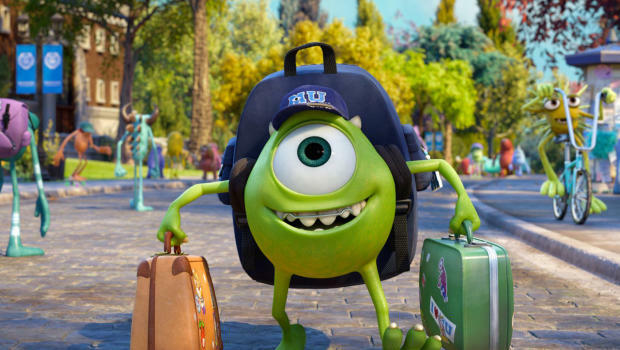 I have seen Monsters University and can declare it well worth a look. While not quite as inventive in narrative, this is one of Pixar's funniest films to date. World War Z is also worth a look to see the fusion of Zombie lore with epic scale blockbuster intensity. It works, despite the plagued production. Satellite Boy, a Kimberley-set tale of a young boy who never relinquishes his hope of saving his home, is also enjoyable. 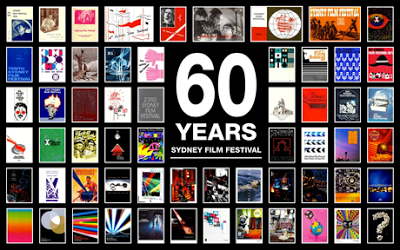 It is with a little sadness but also some relief that I bid farewell to another Sydney Film Festival, the 60th year of it’s running and my third year of coverage. This year’s lineup was impressively strong, and I must extend huge congratulations to festival director Nashen Moodley and the entire team. I experienced no technical issues over my 28 films, and even the queuing system was well handled. Terrific execution. Congratulations to Nicolas Winding Refn’s Only God Forgives for winning the Sydney Film Festival Prize for the Official Competition. Of course, no festival is without dashes between the State Theatre and Event Cinemas, a desperate phone charge and the moment of panic when the app won’t load and you can’t prove you have a ticket. A common one this year was getting involved in a conversation at the Festival Hub and realizing I had less than ten minutes until my film. Two of the festival highlights were briefly chatting with Paul Wright, writer/director of For Those In Peril, and gushing about his film, and meeting Bob Rosen, the former Dean of UCLA and an annual Oscar voter. He was in town to watch the work of one of his former pupils, Alex Gibney (We Steal Secrets: The Story of Wikileaks), and stopped into the Film Club for a chat. The Film Club numbers were on some occasions quite small, but there were several days when there was a giant turnout. Film buffs from all over Australia, including visitors from Brisbane, Canberra, Melbourne and Perth, descended on the Hub to chat about just about everything. I met some fantastic new people, and it was great to catch up with others I haven’t seen in twelve months. Though I managed to avoid sickness, my energy levels over the last three days were depleted to say the least. I almost nodded off during Downloaded and had to work very hard to keep alert during Upstream Colour. I worked a few shifts, so adding a pair of films to the back of a hard day at work meant snacks were essential. I also tried to squeeze in as many reviews as possible and thoughts on fourteen of the films can be found on Graffiti With Punctuation, with more to come. What were your top films from this year’s Sydney Film Festival? In the House, the new film from Francois Ozon (Potiche, Swimming Pool) hits Australian cinemas June 27. Thanks to Transmission Films I have ten 'Buy One Get One Free' passes to give away. To enter, all you have to do is email your name, address and 'There's always a way to get in' to andrew.buckle22@gmail.com with 'House Giveaway' as the subject. Restrictions apply on use of the passes - valid from its cinema release June 27 at participating cinemas. Winners will be notified via email. Germaine (Fabrice Luchini) is a frustrated old-fashioned English literature teacher who has all-but given up hope for the new generation when he expresses his dismay to his art-curator wife, Jeanne (Kristin Scott Thomas), at his students’ recent inept efforts. Only one pupil from his class, Claude (Ernst Umhauer), turns in anything proficient on a writing assignment. Intrigued by the boy’s interesting, but somewhat inappropriate account of his weekend (which ends with a ‘to be continued…’), he questions whether it is a recount of the truth, or if it has been influenced by his imagination. Germaine takes an unnervingly voyeuristic interest in the boy’s follow-up essays. We learn that Claude has befriended a classmate Rapha (Bastien Ughetto). Offering to help him with his mathematics, he manages to ‘infiltrate’ the house of what he declares to be the perfect middle class family. Soon enough Rapha’s parents (a jovial Denis Menochet and a suffocated Emmanuelle Seigner) begin to treat him like a second son. Over time his actions and intentions become more sinister, and Germaine, hooked on the story, begins to play a role in manipulating events (even procuring a test in advance to help Rapha pass math) to ensure that Claude continues to be invited into the house, and with means to elaborate on his tale. Twitch Film call it "a seductive, witty and deliciously naughty piece of filmmaking" and you can check out my review of the film at Graffiti With Punctuation. Written and directed by Paul Wright, his debut feature film following a number of award-winning shorts, For Those in Peril is a visceral and complex psychological drama with an emotional intensity that continually keeps a viewer guessing. 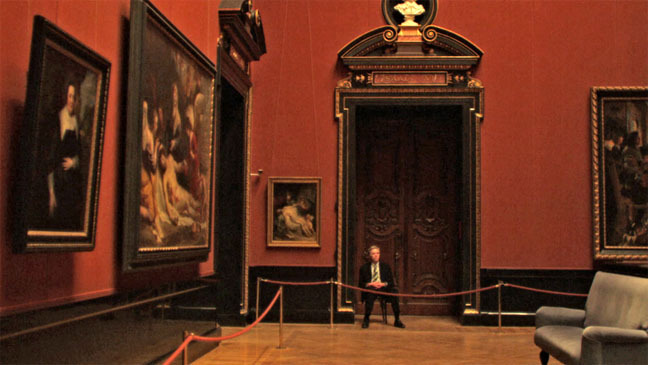 This is a fresh vision from a bold and talented filmmaker who has an interest in telling his stories and provoking his audience with inventive sensory experimentation. Aaron (George MacKay, The Boys Are Back), a young misfit living in a remote Scottish fishing community, is the lone survivor of a mysterious fishing accident that claimed the lives of five men including his older brother, Michael. With ocean folklore an influence the village holds Aaron responsible for the tragedy, and he finds himself an outcast. Struggling with his own demons, unable to remember what happened out on the water, he refuses to believe that his brother has died and holds misguided hope in his return. Though he briefly finds comfort in spending time with his brother’s former girlfriend, his worsening anxieties eventually bring him in confrontation with his darkest fears. World War Z’s journey to the screen has been plagued with issues – a ballooning budget and a seven week re-shoot following a re-written final act – but thankfully there are few signs of such production problems and plenty to admire about Marc Forster’s (Finding Neverland, Quantum of Solace) high-energy film. From my understanding of Max Brooks’ novel – an oral history of a Zombie war – that inspired the film, this is something else entirely. I found it to be a frighteningly visceral portrayal of a ‘Zombie-pocalypse’ in the vein of a scientific disaster film. Moving at a frenetic pace this is a relentlessly intense experience with huge scale production. Within mere minutes we are already witnessing the ferocious outbreak. Gerry Lane (Brad Pitt), a former United Nations employee, his wife Karen (Mireille Enos) and children find themselves embroiled in mob panic as a Zombie outbreak quickly spreads. They manage to escape in a camper van and make it to Newark where they are extracted by Lane’s former UN colleague and lay low in a rundown apartment block. From there Gerry is coerced into representing the UN and traverses the Globe – from South Korea, to Israel and finally to a World Health Organisation lab in Wales – in search of a means to save what is left of humanity, while his family are kept under Navy protection. Grisgris, screening at Sydney Film Festival on the back of its competition for the Cannes Palme d’Or, is a fascinating but largely forgettable drama from acclaimed African filmmaker Mahamet-Saleh Haroun. 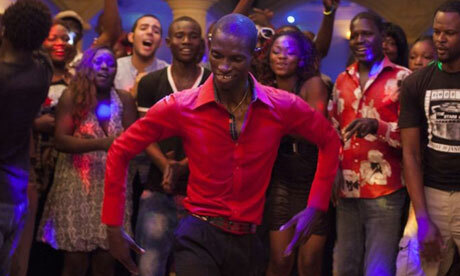 Grisgris (Souleymane Deme) has dreams of becoming a dancer, despite being crippled by a paralyzed leg. Though a hit on the local dance floors his impediment continually foils his higher aspirations. When his uncle falls ill, Grisgris is forced to find more work, in addition to his energetic entertaining and odd photography jobs. This leads to a dangerous working relationship with petrol traffickers and a profitable, if illegal, gambit. The consequences place his life, and those he loves, in danger. What I found so disappointing about Grisgris was how conventional the story felt. If one has seen any film about a desperate youngster finding themselves out of their depth and in debt with some dangerous people, then little about this story will feel different or challenging. Set in Chad, this study of an unfamiliar culture and way of life is indeed interesting all on its own. Add in the unique world of petrol smuggling and Grigris’ unlikely skills and aspirations and there is more than enough here to keep a viewer engrossed, if not fully invested for the duration. The entire film is beautifully shot and Haroun is always aware of telling his story through his images, respecting his audience to feel the most poignant of emotion themselves. When this story takes on its dark turn the ratcheted suspense results in some nail biting moments, but it didn't quite measure up to the high calibre competition. Written and directed by Haifaa Al-Mansour, graduate of the University of Sydney, Wadjda is the first film to be shot in its entirety on location in Saudi Arabia. It is also the first feature from a female Saudi filmmaker. Beautifully crafted, admirably honest and unwaveringly optimistic, Wadjda provides fascinating insight into everyday life in the nation’s capital, Riyadh, and tells a sweet and uplifting tale of the earnest belief in life’s potential and teenage independence within a strict conservative culture. Vibrantly shot, with a striking performance from young lead Waad Mohammed, this is an enjoyable, heartfelt crowd-pleaser and a very important work of international cinema. 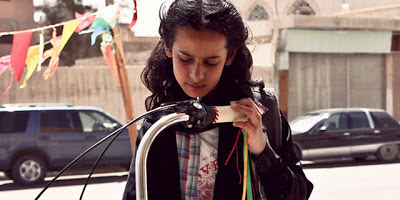 Wadjda (Mohammed) is not your typical 10-year-old girl – she’s intuitive, full of energy and individualism – with the unusual desire of owning a bike. While her father continues to provide for Wadjda and her mother, he is set to take another wife in the hopes that she will bear him a son. He splits his time between both women, which is a cause for anxiety for Wadjda’s mother. At school, Wadjda is rebellious, blatantly disobeying the strict customs that virtuous females must abide by and she has several run-ins with her upstanding headmistress. On the streets she befriends a local boy and gets herself into many unladylike situations. She swindles her classmates for cash by selling bracelets and mix tapes, hoping to buy the bike herself, eventually deciding to try and win the cash prize offered by the school Quran recitation competition. Her attention to her studies, and the memorising of the religious verses begins to change people’s perspective of her. Stoker is a wonderfully directed gripping psychological thriller and the first English-language film by the great South Korean master Park Chan-Wook (Joint Security Area, Oldboy). Written for the screen by Wentworth Miller (best known as the star of Prison Break), it tells a macabre coming-of-age tale about family dysfunction and human depravity, within the mould of an atmospheric gothic horror. Featuring fantastic performances from Mia Wasikowska, Nicole Kidman and Matthew Goode, its many chilling twists and turns effectively serve the formal brilliance of director Park’s vision. Any shortcomings with the script in the latter half are forgivable because of how incredibly beautiful it is visually and how immersive it is as an experience. 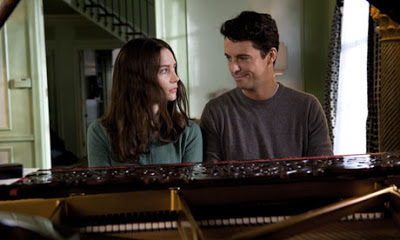 On the day of her 18th birthday introvert misfit India Stoker (Wasikowska) learns that her beloved father (Dermot Mulroney) has died in a car accident. Estranged from her mother, Evelyn (Kidman), she becomes even more cold and withdrawn than usual in her grief. When her father’s charismatic brother Charlie (Goode), a man India has never known, comes to visit and decides to stay to help around the place, she is immediately suspicious of him. At a time when she is dealing with grief but existential angst, seclusion and her overbearing mother, the arrival of this stranger puts her at great unease. What secrets does he harbour? What is his fascination with her and why is she so drawn to him? In Dirty Wars investigative journalist Jeremy Scahill, a National Security Correspondent for The National magazine, author of Blackwater: The Rise of the World’s Most Powerful Mercenary Army and Dirty Wars: The World is A Battlefield, undertakes a colossal individual investigation into the United States military’s rules of engagement and the rise of covert operations. Directed by David Rowley, Scahill, who produced and wrote the film, is front-and-centre of this diary-like chronicle. Scahill makes inquiries the Joint Special Operations Command (JSOC), the most elite fighting force in the military publicly lauded for their involvement in the death of Osama Bin Laden in 2010. But, as Scahill learns, many of their objectives since their formation in 1980 have largely been secret, operating outside the boundaries of the War on Terror under willing authority of high level U.S Defence. Night raids and drone strikes have generated significant civilian casualties across the globe, but on paper they don’t exist. In this digital age, there is barely a day when we don’t sit at our computers and search for something on Google. In The Internship, directed by Shawn Levy (Night at the Museum, Real Steel), Billy (Vince Vaughn) and Nick (Owen Wilson) have just been given the news from their boss that a computer is capable of doing their jobs. Nick is immediately pressured into taking on a dead end retail sales position, while Billy looks to the Internet for prospects. Despite not being anywhere near qualified enough, they manage to talk themselves into an internship at Google. Teamed up with a group of misfits, they are the joke of the program. By showing up with the right attitude and taking advantage of their life experience in place of their limited savvy, these personable everymen gradually win over their team members, continue to surprise their pessimistic director, and bring an understanding of humanity to a digital giant. In a predictable but surprisingly funny fish-out-of-water journey, fueled by the leads’ infectious chemistry, they mentor the upstart youngsters about the life outside of their screens and give themselves a shot at a fresh start. Winner of the Grand Jury Prize for World Documentary at this year’s Sundance Film Festival, Kalyanee Mam’s A River Changes Course is a beautifully shot slice of Cambodian life that examines the reliance of several families on traditional modes of living and the continuing impacts of depleting agricultural resources and industrial modernization. A family of fishermen, reliant on their river catches, find themselves struggling to make ends meet with their increasingly meager returns. The oldest son in the family skips school to help his father on the river, but ends up leaving his village to work with a Chinese excavation company to help support the family. 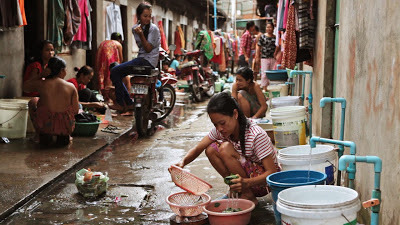 In a village near Phnom Penh, a mother in debt sends her eldest daughter to learn how to sew and work in the city sweatshops. We follow her there, and it is revealed that many of her co-workers have also taken on these jobs to support their country-dwelling farming families. 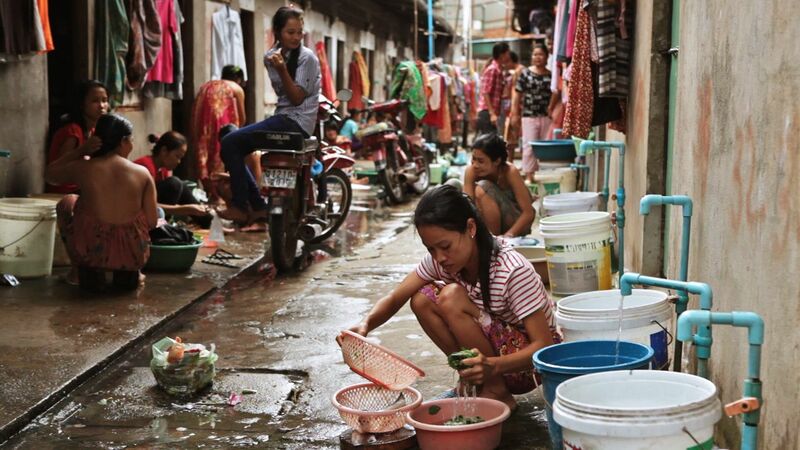 This raises some alarms about future generations of Cambodians, with many that are barely literate forced to drop out of school and attain specific skills to work from a young age. Their education levels are low, and in the case of the subjects in this documentary they have sacrificed their own futures for the sake of their younger siblings. A River Changes Course is a powerful, attentive and intimate look at Cambodian country living with subjects whose livelihood and future is cause for concern. The admirable decisions made by these families in the face of great agricultural change ensures the state of living in this part of the world draws attention and will resonate with viewers. During our lifetimes many of us will visit a marine park and marvel in awe at the common main attraction – the seemingly harmonious interaction between 8,000-pound plus orcas or “killer whales” and their human trainers. Blackfish, directed brilliantly by Gabriela Cowperthwaite, is a captivating and harrowing documentary investigation into the fascinating nature of the orca – their supreme intelligence and development of different languages, their open water gracefulness and clinical hunting abilities – and the cruel mistreatment of those kept in captivity and trained for human amusement. Also examined are the indecencies of the marine park industry and the decades of incidents, manipulated to hide the truth and keep the business afloat. We see the devastating consequences of human exploitation and greed, with nature the executor of revenge. Concisely structured, thoroughly researched and powerfully argued, Blackfish plays out like a thriller, with an especially troubled soul at the core. We broadly track different branches of the industry – orca hunting and transportation, corporate emphasis on profits over the wellbeing of the animals and safety of the trainers, and the enthusiasm-come-disillusionment of park employees – through the decade-spanning life Sea World Orlando’s largest male, Tilikum. 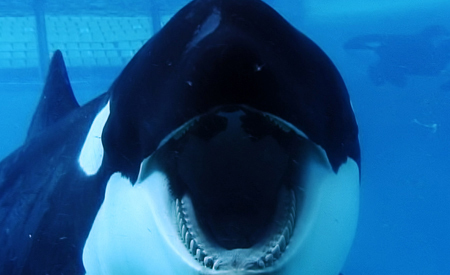 Eventually deemed responsible for the tragic death of experienced trainer Dawn Brancheau in 2010, Tilikum’s life has been a rough one. 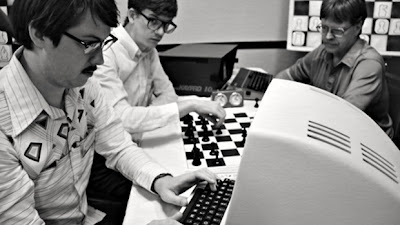 Comprised of raw black and white images captured by an ancient Sony video camera, Computer Chess is pretty much what you would expect to see if you were an observer at a convention-come-tournament such as the one depicted in the film. During a boring panel discussion that opens the film, which has veteran computer chess programmers chat about the recent advances in technology and what went wrong at last year’s event, we can see some of their audience (also programmers, awkwardly assembled at a hotel for the weekend) drifting off. For a short while, I did too. The heavy use of jargon meant that I had little idea what they were talking about and I hoped it got more interesting…and fast. It does, trust me, but this is one of the fascinating things about this film and the reason it is unique. It fooled me. I believed I was watching actual footage – buried deep in some archive and forgotten about, only to be resurrected and collaborated together – of a group of bespectacled tech nerds with poor social skills and bad haircuts interact and philosophize about the future of Artificial Intelligence and try to justify their personal obsessions not with chess, necessarily, but their desire to perfect their programs. But then I realized that it was all a recreation – a very authentic rendering of an early 80s era where a brash chess wiz remains adamant that a computer program was incapable of beating him, arranging the country’s best to get together and try. Perhaps past embarrassments will be eradicated. Who knows what will happen? As Tim Buckley’s son Jeff (Penn Badgely, Margin Call), a few years before he made his acclaimed ‘95 debut album Grace, prepares to participate in a tribute concert to his late father, we get glimpses into the 70s of Tim’s (Ben Rosenfield) short career in this dual rock biopic from director Daniel Algrant. Algrant’s decision to insert the audience into this specific period of Jeff’s life, the first time his own intimately collided with his father’s, is a good decision. The soundtrack is suitably made up of Tim’s music, and his legacy is clearly admired and respected. Jeff, who never knew his father, save for a few brief meetings when he was very young, is more indifferent. 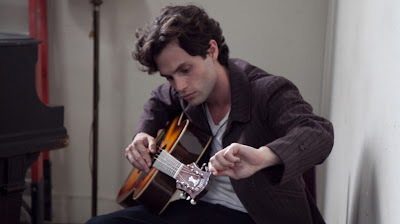 He is struggling to escape the expectations placed on him, while trying to understand the extent of his own musical talents. 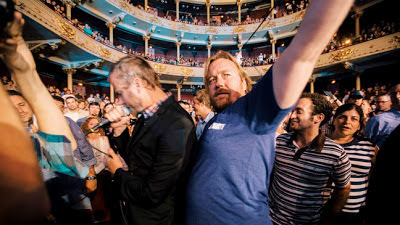 It is courtesy of his friendship with Allie (Imogen Poots, 28 Days Later), one of the production assistants, and his involvement in the tribute concert that he is then able to go on to capture the heart of his own generation. Said Mahran (Lorenzo Baglioni) is a man of Algerian heritage. 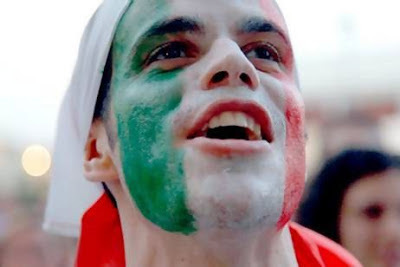 His father, Hamid (Mohammed Hanifi) is Algerian, but having emigrated to Italy thirty years prior, Said and his brother, Amir (Amir Ati), were born in Florence and have been living in Italy their entire life. Said has never once visited Algeria and considers Italy his home, but having never been granted certified citizenship his family continually has to apply for working visas. Their legal ‘acceptance’ is temporary. When industrial businesses begin to go under, layoffs and closures ensue. Hamid’s boss commits suicide and Hamid loses his job, which in-turn results in the entire family faced with expulsion from Italy within fifteen days. Angered by this injustice Said relentlessly fights their case, hiring lawyers and bringing this widespread issue of dislocation to the attention of the media. It’s About To Rain is a potent cultural study, covering the internal drama of a family who have been forced to let go of any future ambitions and completely change the course of their life, and the bureaucratic mess that not only affects the second-grade Italian citizens who are denied connection with the culture, but ALL Italians. With a few late substitutions I have my final line-up confirmed for the Sydney Film Festival. Here is a list of what I have seen prior to the festival, and below is my day-to-day schedule. Kim Mordaunt’s magnificent drama, The Rocket, screening at the 2013 Sydney Film Festival in the Official Competition, is fresh from winning the Best Narrative Feature, Audience Award and Best Actor (Sitthiphon Disamoe) at the TriBeCa Film Festival. It is an optimistic and spirited tale of a young man’s personal journey to alter his destiny. The story of The Rocket follows Ahlo (Disamoe), a ten-year old boy whose family are forced to relocate after an Australian energy company announces the construction of a dam set to flood their area. Considered bad luck in the traditions of the family as he is delivered into the world preceding a stillborn twin, Ahlo finds himself the blame for the string of misfortunes that fall upon the family. After a tragic accident and the forging of a friendship with a young girl, Kia (Loungnam Kaosainam), and her outcast uncle, Purple (Thep Phongam), Ahlo’s father (Sumrit Warin) begins to believe that the prophecy is true. Ahlo must prove his worth to his family as they come to terms with the economic change that threaten their livelihood, with their future reliant on the most unlikely of events.